Hello and Welcome to another Daydream Monday! 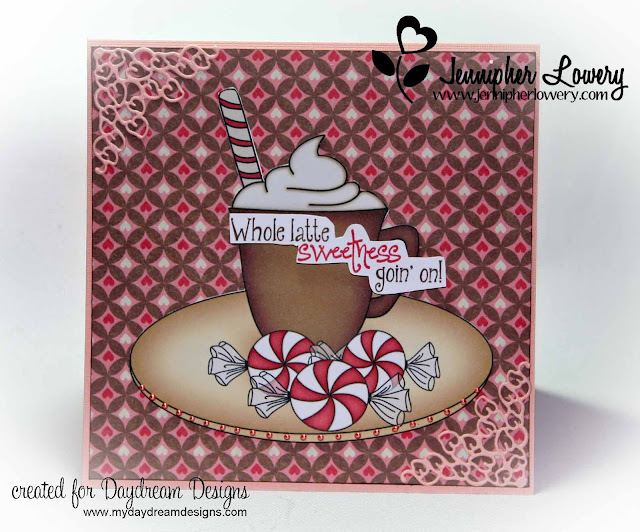 It's time for me to share another project created with some of the fabulous digital products available at Daydream Designs. I created my own composition in Photoshop Elements by layering the mug on top of the plate and then layering the candies in front. 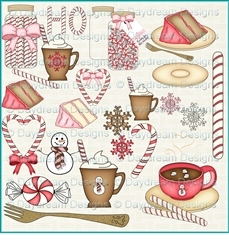 The Sweet Warm Ups Collection is great for Winter cards, Valentine's, Friendship and so much more. 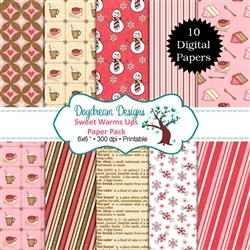 I encourage you to stop by Daydream Designs and check out the entire collection. I just know you will love it! It's gorgeous, Jenn! Left a comment on your FB page too. But this is so sweet. Love all the extra touches like the liquid pearls, and the corner filigree....beautiful! I love how you combined the images!! This is so Sweet.. 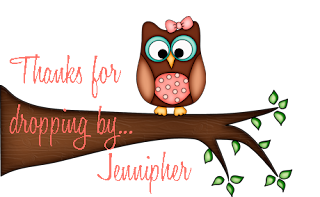 Wonderful warm colors Jenn. Too cute, and yummy Jennipher! Love how you created that in photoshop. Wow! You are really making some amazing digi art cards!! Such a great card!